What is the Minimum Credit Score Needed For a Personal Loan? There are times when the salary from your job doesn’t suffice, and you’ll need to draw upon a quick influx of fund. If you have a big expense ahead and a low credit score, you may be wondering what the lowest credit score needed for a personal loan is. Find out, here. There are tons of reasons to take out a personal loan like purchasing a car, paying off medical expenses, student loans, and more. Unfortunately, banks don’t just give out loans to anyone who asks. In fact, 37 percent of people who apply for mortgages, for example, get denied due to less than perfect credit. Now, it is a bit easier to get a personal loan than a mortgage, mainly because of the difference in terms and loan amounts. But there are still some important factors to keep in mind before you apply. One of the most important factors, of course, is your credit score. We’re going to look at the credit score needed for a personal loan and how you can increase your chances of success. Is There a Minimum Credit Score Needed for a Personal Loan? The answer to this question is a bit complicated, as every lender and situation is different. There is no universal set minimum credit score needed to land yourself a loan, but there are some congruent standards. For the most part, if you are planning on taking out a personal loan with a well-known and reputable bank, you’re going to need a score of at least 620. This is the most commonly found minimum among big-name companies, however, this is not always the case. Some lenders will lower their standards to 600 or even as low as 540. There are even some agencies out there who will lend to you with no minimum credit score at all. However, these kinds of loans typically come with a super high-interest rate. Since we know there is no set-in-stone minimum, let’s take a look at the factors that do make a difference in your chances of obtaining a personal loan. You may be wondering, if credit score isn’t necessarily the deciding factor, what do lenders want to see before I borrow? All of these things will positively impact your ability to get approved for a loan. You may have a lower credit score, but if you show that you’ve worked at your job for several years and have no collection accounts, you may have a better chance. If you show signs of building and a recent history of on-time payments, a lender may be able to overlook your less-than-perfect score. 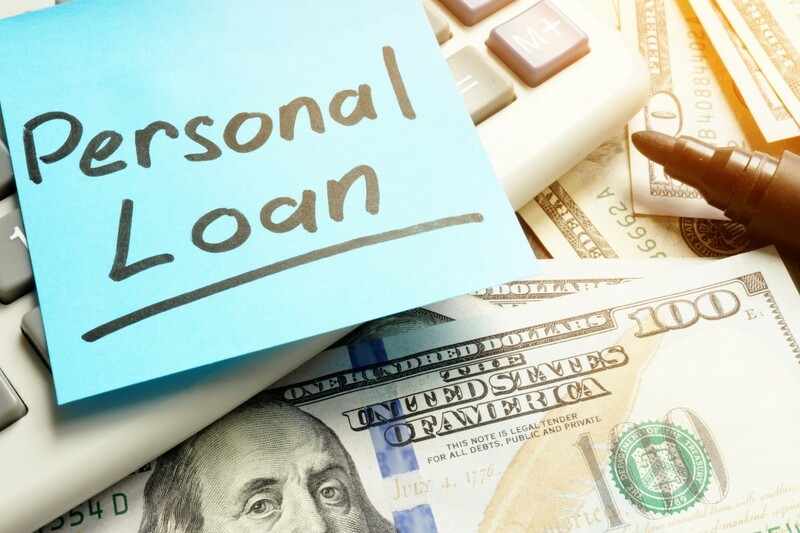 There are several steps that need to be taken to determine whether or not you will be able to receive a personal loan. Here’s what you need to do. First thing’s first, you need to figure out exactly what you need. Are you planning on investing in your business? Paying off expenses? Purchasing equipment or a vehicle? Determine your loan cause and then your loan amount. The less money you are needing to borrow, the easier it will be to get approved for that loan. For example, asking to borrow $3,000 for a down payment on a vehicle is easier than borrowing $25,000 for a down payment on a home. That doesn’t mean you won’t be able to get the loan, but it may mean that you need some additional help or steps. Next thing you need to do is find out what your credit score actually is! You’d be surprised how many people believe that their credit is poor, to later find out that they have pretty solid credit after all. There are different ways that you can access your credit score. One way is to look online through a reputable free service like Credit Karma or Credit Sesame. Another way is to request your annual credit report, which each American is entitled to receive once a year for free. Once you’ve determined your score, you will have a better idea of where to go from there. After figuring out what kind of score you have to work with, you’ll be able to choose a lender. If your score ended up being better than you thought, something like 700 or higher, you’ll be able to apply with just about anyone with pretty good odds. Now, if you found your score to be much lower, say under 600, you know that you’ll need to take a different route. Perhaps find a bad-credit lender. You can even use tools like Bonsai Finance to find lenders who don’t credit check at all if you’re really struggling with your score. You may opt to apply with a co-borrower. Not all banks or lenders allow co-signers/borrowers, so make sure that you are applying with a lender that does. Online lenders are also an up-and-coming plausible option. Of course, you’ll never know for sure unless you try. And don’t give up after one rejection, either. Gather a short list of potential lenders and submit applications to all of them. Not only will this increase your odds of getting accepted, but you may also find a better offer from another lender that you may have overlooked after the first yes. Keep in mind, though, that applying too many places can negatively impact your credit as well. That’s why we recommend picking a short list so that you can increase your chances without subsequently decreasing them. Once you’ve applied and found a lender who will give you the amount you want with an interest rate that’s acceptable, you’re ready to go! Now that you know more about the credit score needed for a personal loan, you’re ready to get started! Whether you’re trying to start a business or investing in your future, personal loans can be a great place to start. Speaking of starting a business, check out our learn section to help get you started today. We’ll see you there!